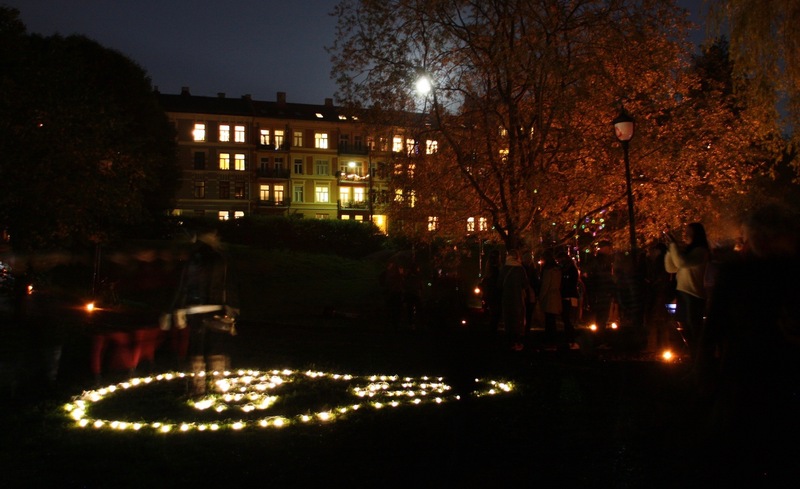 Some 50.000 persons joined the popular Oslo-event “Elvelangs”, walking along the riverside, watching art, performance, dance and other events – like the electric Scream from Nature. In collaboration with the environmental NGO Bellona, a Scream from Nature was made out of light bulbs. We also had a collection station for old mobile phones and e-waste, and used the event to spread information about the importance of recycling the e-waste.